For today’s Hallow-vent Calendar review, I wanted to revisit something I haven’t read in years. For myself, other than Batman, the only real “superhero” comics I ever really enjoyed were the X-Men books. Instead of overly patriotic and bland heroes like Captain America or Superman, the X-Men seemed, strangely, the most realistic. Their basis was in science and they were created as an allegory for the Civil Rights Movement in America (Professor X and Magneto serving as proxies of Martin Luther King Jr. and Malcom X respectively). Also, I loved their storylines so much more. 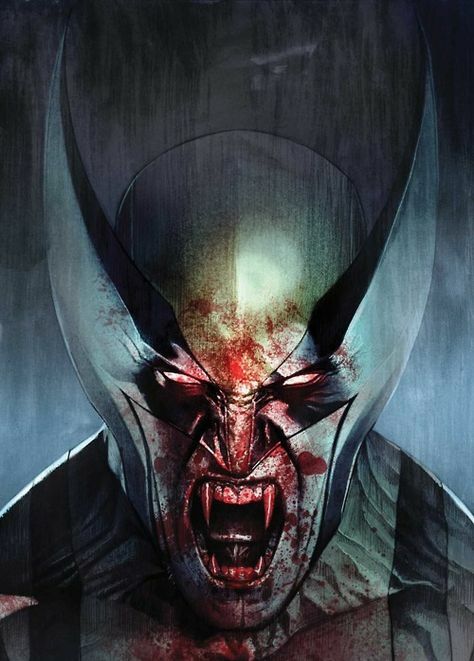 As has been established this Halloween, my obsession with vampires knows damn near no bounds, so in 2010 when Marvel began a new X-Men run with Victor Gischler at the helm, I was incredibly excited to see that the first six issues were going to cover a vampiric assault on the X-Men’s island home of Utopia. 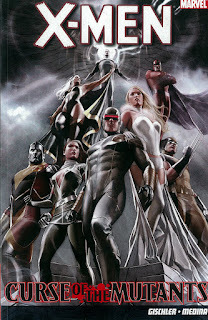 Just for quick background information at the time of this publication, the X-Men had recently suffered a huge loss after the events of 2005’s House of M, in which the mutant population was decimated from millions worldwide to only a few hundred. After this, the X-Men, in the book Manifest Destiny, move to San Francisco and establish their very own fortress. They call it Utopia and it becomes a safe haven and focal point for all of mutant life. This should clear up any questions from older X-Fans who may or may not be up to date on their status as a team. At the beginning of the storyline, Jubilee and Pixie are out at a café, enjoying the sun. Jubilee has been feeling like an outsider, even among the X-Men, as she has lost her powers, and she needs some downtime. Just then a man strips off his coat and hood, bursts into flames and explodes, showering the area and all the people with a large quantity of blood. As Jubilee is looked over by the X-Men physicians, it is discovered that she is infected with a bioengineered virus that cant spread like a normal vampire virus but does attack the brain in a more substantial way, causing those infected to need the night and the dark kiss worse than normal. Wolverine and others peruse the city, tracking leads and discovering small collections f vampires and familiars who are destroyed before eventually coming in contact with Blade, the Marvel universe’s very own vampire hunter. Along with Blade, the X-Men discover that although Dracula has been destroyed, his son Xarus has somehow untied all of the vampire clans and plans to assault Utopia in hopes of turning the X-Men into vampires. I don’t want to give too much more away but I will say that Xarus turned Jubilee on purpose, in hopes of getting to Wolverine, and when she does, the end result is spectacular. I cannot praise this graphic novel enough. Gischler has a true talent for writing these characters and he is able to touch on old classic ideas as well as bring his own flavor. His wolverine feels just like the character should and his Cyclops is as cunning as ever, truly embracing his new role as the protector of mutant kind. Also, in a fun little segment, Gischler even brings back the Fastball Special! On an even more important note, Paco Medina’s artwork is as good as X-Men artwork can be. It has a distinct style that is both realistic and fantastic. With the help of Juan Vlasco and Marte Gracia on Inks and Colors respectively, the artwork in this book is amazing and really helps to bring the story to life. Adi Granov did some amazing covers as well. Check out this badass picture below. I’m relatively certain I am getting this tattooed on me somewhere. Basically, if you are an X-Men fan, you really should be reading this. I know that it is ten years old at this point, but it is really fun and so well done!